Sometimes simple is best. 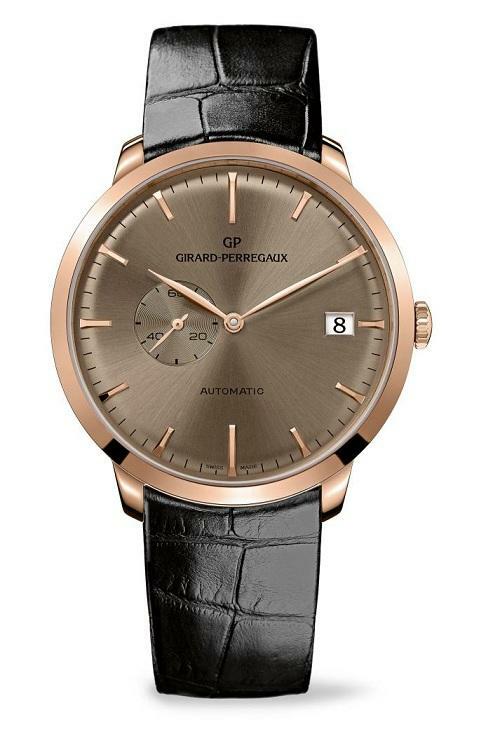 Girard-Perregaux have understood this completely with the release of the new 1966 Small Seconds collection. Since its creation, the models of Girard-Perregaux’s 1966 collection have had a timeless appeal because the design is so confidently classical. This year, new touches have been added such as a date window at 3 o’clock thoughfully blanced by a small seconds display at 9 o’clock. But behind the disarming simplicity lies the assurance of GP’s technical mastery. 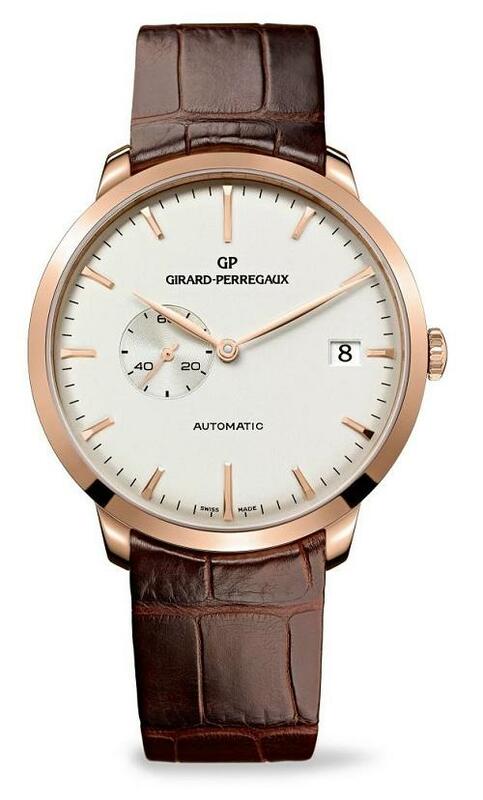 The Girard-Perregaux 1966 Small Second and Date watch is available in two versions of the dial, one in silvered opaline and the other in a rich cognac with the sheen of a sun-brushed finish. The meticulous and subtle finishing draws on all the specialist expertise of the brand’s watchmakers and craftsmen. The watch features a pink gold 41mm case, curved dial and a slightly spherical sapphire glass. The diamond-polished sloping bezel enhances these editions, which have delicately faceted hour markers to reflect the light, as well as slightly recessed small seconds subdial. The applied hour-markers which hem the dial have faceted ends to mark the slope. The case’s sapphire glass on the case back opens onto the automatic mechanical calibre GP01890-0003, designed in the Manufacture’s R&D department, entirely made and assembled in its workshops. With its 54 hours power reserve, it winds itself with the help of its pink gold rotor.